Borrowers in California have the full protection of the law to stop illegal foreclosure! If you believe that your lender is engaged in illegal practices by acting unfairly, unethically, deceptively or fraudulent manner, you may be able to successfully stop a foreclosure sale. Unfair foreclosure practices include taking advantage of unsophisticated borrowers and engaging in unfair or deceptive actions during the foreclosure process. One common example is when the lender tells the borrower that a modification is available to save the home, while the lender continues to move forward with foreclosure; a practice known as dual tracking. When evidence of foreclosure fraud is not obvious, our foreclosure attorneys may recommend that you file for bankruptcy to stop foreclosure immediately. When filing Chapter 7 or Chapter 13 bankruptcy, the court orders all creditors to cease all collection activities at the moment of filing. This automatically stops the foreclosure sale and offers absolute protection from the court. In the event that the lender engages in fraudulent practices like dual track foreclosure, homeowners can file a lawsuit against the lender to stop the sale of the home. The goal of mortgage litigation is to stop an illegal foreclosure and save the home. Many homeowners benefit from filing a lawsuit against their lenders due to the protection of the court order that stops the sale. However, this option depends on the facts and the circumstances, and negotiation with the lender may offer favorable resolution such as reduced monthly payments, better loan terms, and possible principle reductions. However, litigation does not offer the certainty of bankruptcy or the automatic stay upon filing. Generally, more time is needed to prepare and file a lawsuit that will result in a favorable outcome. One of the most common illegal foreclosure practices is dual tracking, when the lender moves forward with the process of foreclosure while at the same time processing a loan. This practice misleads homeowners, inducing them to believe that their monthly payments will be lowered, but instead, lenders often deny requests for loan modifications within a few days of foreclosure, making it very difficult for borrowers to stop or fight the foreclosure. In California, dual tracking is illegal. A lender cannot legally move forward with the foreclosure process when a borrower is applying for a modification and the lender is requesting financial documents to approve the borrower for assistance. Short sales may be an option for stopping a foreclosure sale. A short sale involves the sale of the property to a third party for a price lower than the amount of money owed to the lender. Usually, lenders will require you to submit an offer from a potential customer when applying for a short sale. A deed in lieu refers to a transfer of the deed to the lender. Either process requires lender approval and the borrower must agree to vacate the home and leave it in good condition at the date of closing. There are many options available for stopping foreclosure, we advise our clients to go to court as it is the most effective way of stopping the foreclosure. In addition, the resolution is most likely to favor the borrower and not the lender. 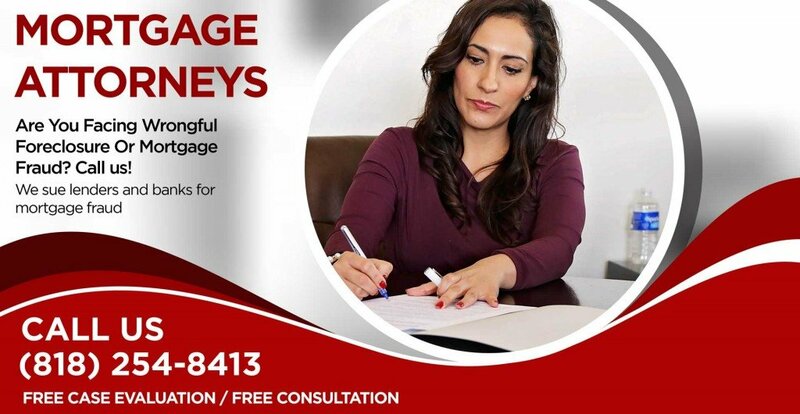 It’s always best to hire an experienced mortgage foreclosure attorney with a strong track record of success to stop foreclosure after receiving a notice of default in California. Call today and get free legal advice from our lawyers.